Stainless Steel Rack Trolley with Cutlery Stand that we offer is widely used for keeping different types of cutlery in an assorted manner. 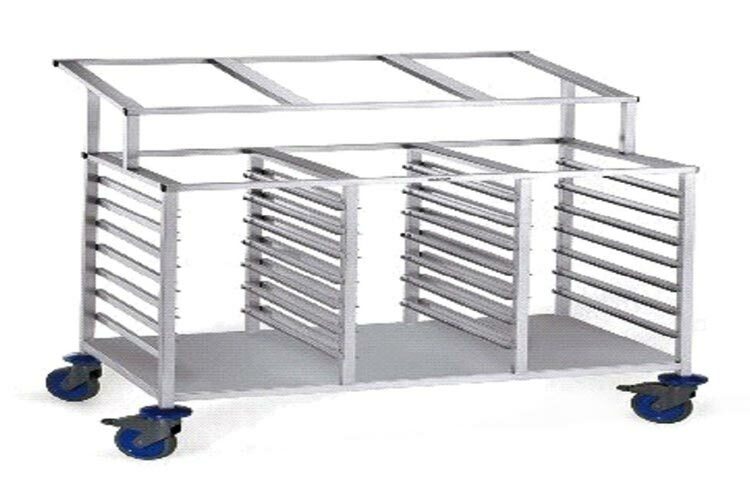 We are reckoned as the reliable Exporter and Supplier of sturdy Stainless Steel Rack Trolley with Cutlery Stand based in Saudi Arabia. Our trolley is available along with German caster wheels, tray holder and a cutlery stand. Buyers can obtain bulk quantities of Cutlery Stand at market leading rates from us. We have more different size as per Clint requirement Same item.